Pharmaceutical giant Cipla Ltd has offered to acquire a majority stake in its South African distributor called Cipla Medpro. Cipla has offered to acquire 51 per cent stake in Cipla Medpro for Rand 8.55 per share, which values the deal at Rs 1,210 crore at the current exchange rates. This valuation doesn't include the dividend of Rand 0.10 per share that the Johannesburg Stock Exchange-listed distributor is expected to give shareholders at the end of this fiscal year. The ongoing discussions over the proposed stake deal are subject to numerous conditions, including finalization of due diligence, and regulatory approvals. The pharmaceutical giant said in a statement, "There is no certainty that these discussions will lead to a firm offer being made or a transaction being consummated." 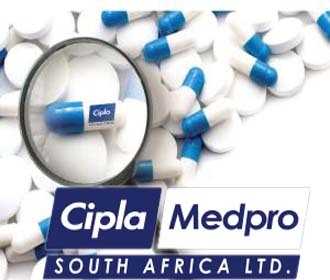 Cipla Medpro distributes Cipla Ltd's products in several South African countries. The distributor is said to be the fastest growing pharmaceutical firm in the region. During the September quarter, Cipla pocketed 56 per cent of its total revenue from its business in overseas countries. Its net profit jumped from Rs 309 crore in the September quarter of 2011 to Rs 500 crore in the same quarter of this year. Following the announcement of the proposed acquisition deal, stock in Cipla gained 2.6 per cent to Rs 389.70 a share on the Bombay Stock Exchange (BSE) on Wednesday.